The first Showmax Original, Tali’s Wedding Diary, was a resounding success. The series stars Julia Anastasopoulos as a Joburg princess who is planning the wedding of her dreams. It was produced by Sketchbook Studios, which Julia’s husband, Ari Kruger, founded and Julia co-owns. The business has many other projects under its belt – including Julia’s successful YouTube vlog, Suzelle DIY. 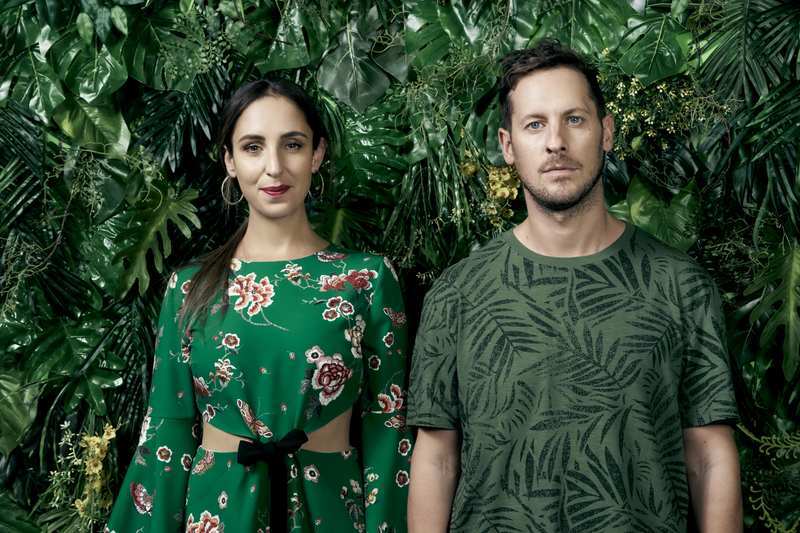 Following its acclaim at the South African Film and Television Awards (Saftas) Vodacom chatted to Julia about the inspiration behind Tali’s Wedding Diary, what she thinks lies ahead for streaming in South Africa, and what’s next for Sketchbook Studios. What inspired Tali’s Wedding Diary? The story was inspired by elements of our own wedding and, specifically, the bizarre journey leading up to it (with all the events that can go wrong in planning a wedding). I came up with this character Tali, a Jewish Joburg princess who moves down to Cape Town to marry the man of her dreams. In exploring the character and the storyline we had in mind, we started writing the series. Investment – both monetary and from South African audiences – in local productions is increasing. What do you think we can expect from local film and TV in the years to come? I find it so inspiring to see so many young local filmmakers and storytellers actively taking on projects and making the films and content they want South African audiences and the world to see. Investment in African and South African productions from international companies like Netflix is definitely forecasted to increase. I think a lot of whether local content reaches international standards and audiences is dependent on local talent making the right connections and telling stories that are relevant to the rest of the world as well. What challenges are we still facing in local film and TV? What challenges are we not still facing in local film and TV?! Lack of funding for local productions, challenges with regards to getting the right content in front of the right audiences, the movement from TV to digital, and VOD platforms. Why do you think Tali’s Wedding Diary is such a success? It deals with a universally relatable theme — so many people have been involved with or experienced the planning and drama of a wedding. The characters are also all very recognisable South African stereotypes, which makes the series even more enjoyable and entertaining for local audiences to watch. We had a great team working on the series and it wouldn’t have been the success that it is without everyone having worked together so well! We’ve heard rumours of a sequel – is this on the cards? We are really hoping to get the opportunity to make season two, but it’s not officially confirmed yet. What challenges did you face while filming Tali’s Wedding Diary? We shot the show during the heart of winter so our days were short and cold. The show was supposed to be set over summer so the actors were often dressed in summer clothing even though it was mostly freezing on set. 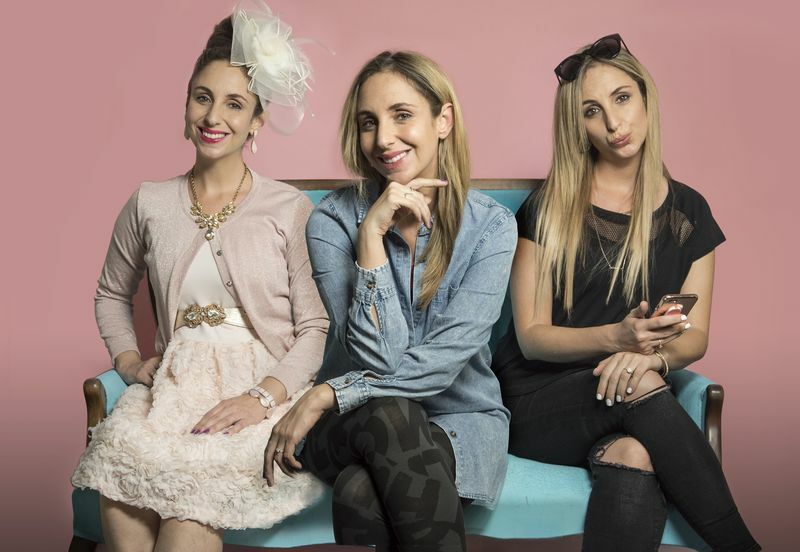 Why did you pitch Tali’s Wedding Diary to Showmax? We had shot a 10-minute pilot for Tali, which we were initially pitching to brands to come on board so that we could make another YouTube series. The idea of turning it into a television series never seemed like a possibility, just based on the kind of content that is usually commissioned by our local broadcasters. Showmax had recently launched and we heard that they were looking for original shows to commission, we took a chance and sent it through and a year later we were shooting! What are your thoughts on TV in the 'streaming age'? Is this something South Africa will be embracing fully in the future? With platforms like Showmax, South Africa is already embracing the streaming age. There is no doubt that locals will keep migrating more and more towards online video, but I think at this point South Africa also still has a very strong traditional TV audience that doesn’t seem to be going anywhere very soon. Sketchbook Studios have embraced creating content for diverse platforms. What’s next? We’re always thinking of ideas for new shows and characters. We like to develop the proof of concepts or pilots in-house and then shop them around to see who would be a good fit for the content. We’ve got some exciting ideas in the pipeline. We’re currently focusing on a feature-length film, which we’re going to shoot this year. Watching a movie or two is a great way to unwind while spending time with the family this long weekend. Here are a few flicks to check out on Showmax. As new technologies replaced the traditional CD, artists began experimenting with releasing songs in different ways. Here are 7 albums that changed the way we listen to music. The 2019 Saftas proved that Showmax delivers when it comes to award-winning shows.